If you were inspired by our previous home speaker articles and are setting up your surround as we speak, then feast your eyes on the 10 best floor-standing speakers in 2019 to go with your bookshelf buddies, in-wall or ceiling speaker options. Floor-standing models have to be carefully designed from start to finish the enclosure need to account for standing on the ground, which absorbs a lot of vibration. These terrific tower options can sound muffled or muddy but the better models feature some fantastic enhancements which will leave you amazed. What is a floor-standing speaker? 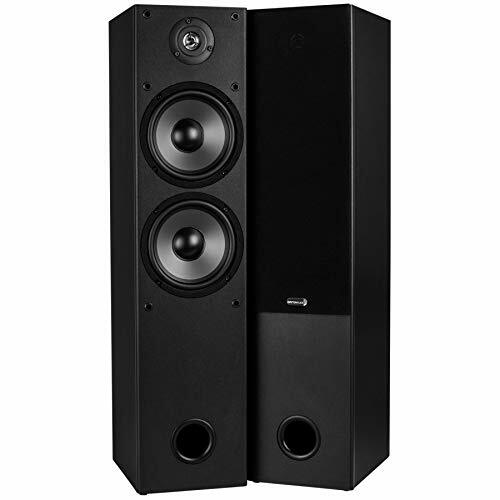 What to look for when buying floor-standing Speakers? Given the ever-evolving nature of the electronic audio industry, we understand the mechanics involved to a T. Enclosure designs are carefully calibrated to keep audio pristine and fill the room. The market is littered with competing models so it can be an arduous task to filter through the junk to find the gems. For your ease we have compiled 10 of the best for your judgment and provided our complimentary buyers guide to fill you in with all you need to know. To start the ball rolling on today's reviews we have a fine example from BIC Americas acclaimed Acoustech line. 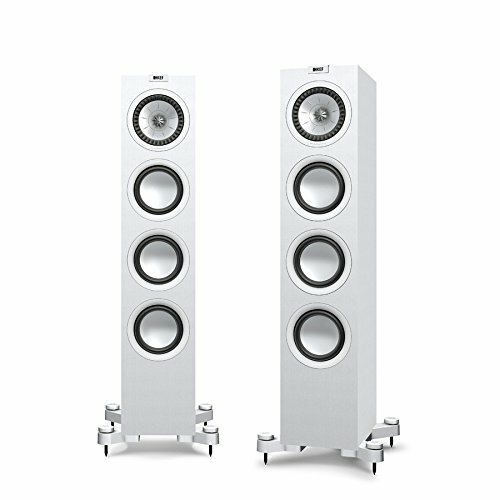 The PL 980 left and right pair of floor-standing speakers are a fantastic place to start looking as they serve up some of the most dynamic mids we have ever had the pleasure of listening to. Their 3-way class set-up is of course largely responsible for this mid-frequency response which creates some of the most realistic sounding audio possible. The circuitry and onboard tech has seen an upgrade and produces much more accurately balanced sound thanks to its new engineering. The design concept was conceived after researching audio imagery. The duo provides two high-power 8” woofers with two 8” passive bass radiators for extended lower frequencies. The lush mids are handled by a dedicated 5” closed back driver which helps articulate the important frequencies. They are joined in force by a 6.5” mid/high-frequency aluminum dome horn which is comprised of premium parts, they are high-output and feature neodymium magnets. They stand at 47” tall and are beautifully housed in a magnetically shielded hand-rubbed lacquer enclosure. They require 10-300 watts per channel with a peak RMS of 750 watts. Why We Liked It - This pair actually outperform many in their price range competing with high end models, retailing for more than double their cost. Whilst they are rather an investment to begin with for some, they are well worth their value. We couldn't help but open with a premium product and they are pretty darn near-perfect if your pockets run deep, but we are sure this pair form Pioneer provides a far more attainable audio solution for the less affluent. This floor-standing set employs advanced crossover circuitry engineering designed by renowned engineer Andrew Jones, which puts them at the top of their class. They manage to deliver audio comparable with high-end performance drivers in a much more affordable package. This pair sits just below the hundred dollar mark, stand at 35” tall, and are laden with three 5.25” woofers, which provide superb bass response and give it room-filling depth. They are topped off with a 1” dome tweeter which benefits from an advanced design created based on custom-engineered, proprietary waveguide technology. The workload is shared among the drivers via a complex crossover which features 8 high-quality components rather than your average, simple crossover. + Triple woofer + tweeter combo. Why We Liked It - We are big fans of Pioneers accessible audio ranges, this floor-standing pair feature optimization that really raises the bar as far as we are concerned. They embody some of the best attributes of Pioneers high-end models and benefit from several decades of experience too. Now for a decent 2-way class option, the SL-8 by Cerwin-Vega is another solid choice as far as floor-standing speakers go. It has a classically styled cabinet with a stature of 34 inches, the enclosure features a bass reflex port to ensure clarity in the low end. It has a small footprint at just 10 square inches. It features one dedicated 8” woofer teamed with their newly refined own-brand soft dome tweeter, between them, they cover a wide frequency response very effectively to produce well-rounded audio. The woofer is seated in a rubber surround to keep noise nominal. The tweeter is highly responsive and performs exceptionally well. There are cooling methods in place to help with high-outputs. The crossover work is sophisticated the delegation of frequencies Is split optimally and the audio has a rich abundance of dynamic detail. Why We Liked It - They are competitively priced against other top brand, high-quality 2-way class floor models, they serve up 150 watts of peak power for punchy home audio that gets the party started. Next, we have an alternative from the skilled team at Dayton Audio which matches the price of the Pioneer pair. They are essentially a step-up from their esteemed B652 floor-standing models which have been enhanced to provide a more capable bass response. They don't boast the triple woofers of the Pioneer models but they are equipped with 2 dual woofers which are slightly larger in dimension at 6.5” in diameter. This increased cone surface area provides more of a sounding board for bigger, better bass production. The 2 woofers are joined by a tiny 15mm soft poly-carbonate dome tweeter, which incorporates a ferro-fluid cooling system to enhance performance and protect against overheating at high-frequency outputs. The bass is further optimized thanks to the bass reflex cabinet enclosure which helps to prevent cancellations and ultimately deliver better clarity audio, free of distortion. 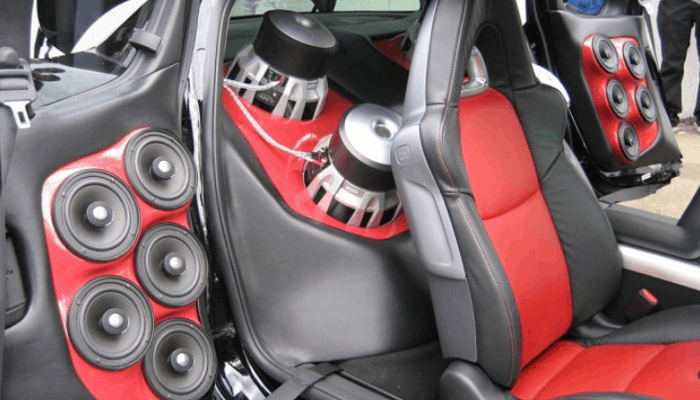 + 2-way class + dual bass woofers. Why We Liked It - The bass has incredible depth and the tweeters are very efficient. The towers are really streamlined so as not to dominate a room and we like their modern aesthetics as well. Back to BIC America to examine the PL89 set which is a more comfortably priced model from their acclaimed Acoustech Platinum series. They deliver the same rock-band level decibels as the sophisticated set we opened today's reviews with and are also a floor-standing horn speaker like their prevailing products. They are around a third of the price of the first to have a little less on board in the driver department but are still constructed with the A-1 expertise, first-class components and tiptop tech as the superior set. 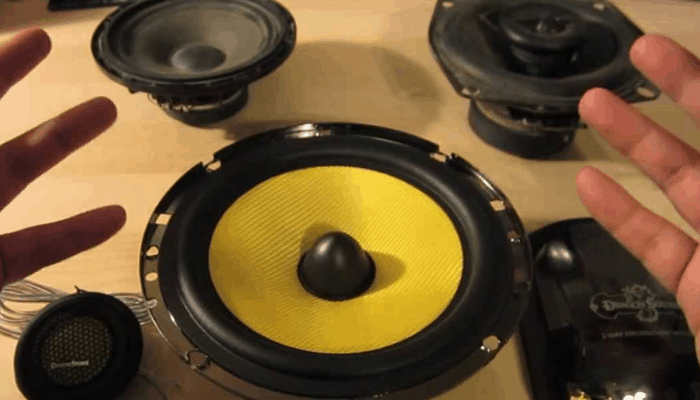 They harbor dual 8” woofers for boosted bass, they have high-grade surrounds for clean audio. The mid/high range tweeter is an aluminum dome horn, with neodymium magnets. It also benefits from a very advanced crossover circuitry which provides great definition and dynamics in the mid-frequency ranges. The enclosure is space-saving and features a bass enhancing port. They are magnetically shielded and have gold plated terminals for even finer fidelity. + Superb 2-way class set. Why We Liked It - It is another great tower option from BIC America which provide prevalent bass, it is not a sublime as the more expensive set but hold its a supreme position among the majority of 2-way class models on the market. So we saw the perks of a pair of SL-8's from Cerwin-Vega, but how do they compare to the next generation XLS series sets? The XL-28 is a moderately priced model which offers up a little more than its subordinate series models. For starters it's a dual 3-way class floor-standing speaker, it is accoutered with dual 8” high-excursion woofers with cast frames and premium surrounds. They are joined by a 6.5” mid-range driver featuring cones formed with mica fiber impregnation. 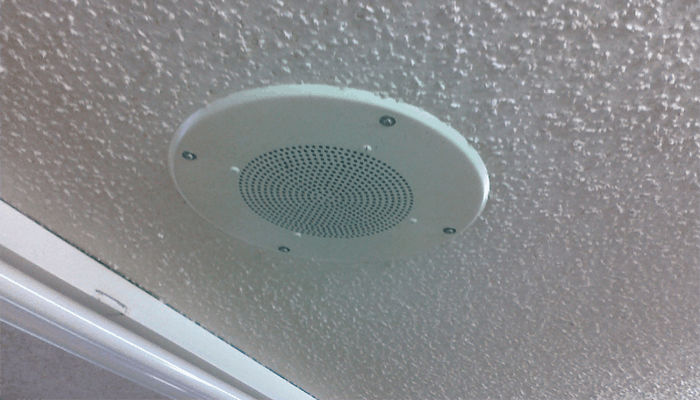 Finally, the highly efficient array is completed by a 1” soft dome tweeter bolstered by a ferrofluid cooling process to facilitate the fast motion exposure. This admirable arrangement is housed in an elegant ash enclosure which has been calibrated. The superb set-up ensures every part of the spectrum is catered to with care. The audio produced is high fidelity, rich with texture and crisp detail. The balance and extensive range are deftly managed by its top-notch circuitry and its high-frequency waveguide design. 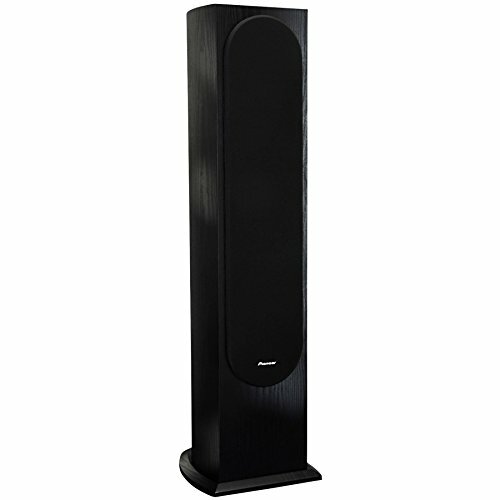 They are very durably built, they come in at 38 inches tall and can handle 200 watts peak power. + High fidelity audio with great bass. + High performing drivers and cooling methods in place. Why We Liked It - They are a little more accessibly priced and provide a premium listening experience, the bass is impressive but not overbearing, the crossover is seamless all areas are covered giving a nice natural overall sound. An audiophile level model well worth a look at if your budget is a bit more bountiful is this high-end deuce from MartinLogans Motion series. 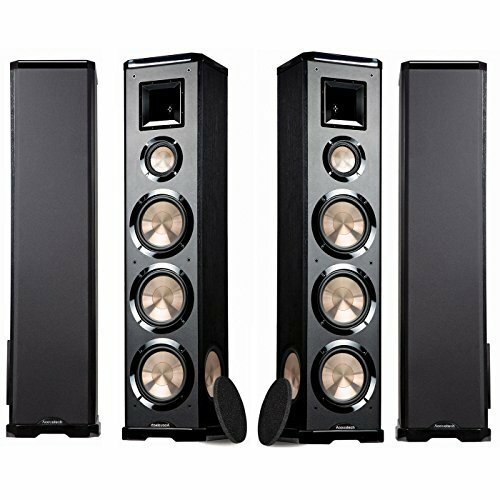 This pair of 3 way class floor-standing speakers are truly something else, they are carefully calculated from start to finish and all components are high caliber. They are remarkably well-crafted elegant cherry wood set. They feature a folded motion tweeter, a midrange driver and a woofer with a rear-firing bass port that work harmoniously in conjunction with their state of the art crossover circuitry tech. The folded motion tweeter has 8 x the surface area of a traditional 1” dome tweeter, this improves the transient response and gives a high-end definition on par with professional high-end studio models. The mid-range driver is 5.5” in diameter and aluminum domed it capably delivers well-defined, rich-resolution audio with depth and articulation. The woofer also features an aluminum cone and measures 6.5” coupled with its complimentary port it provides exceptional bass with warmth and clarity. The enclosure is just under 37” high and is aesthetically pleasing and beautifully designed. + Advanced folding motion tweeter. + Audiophile level quality sound. 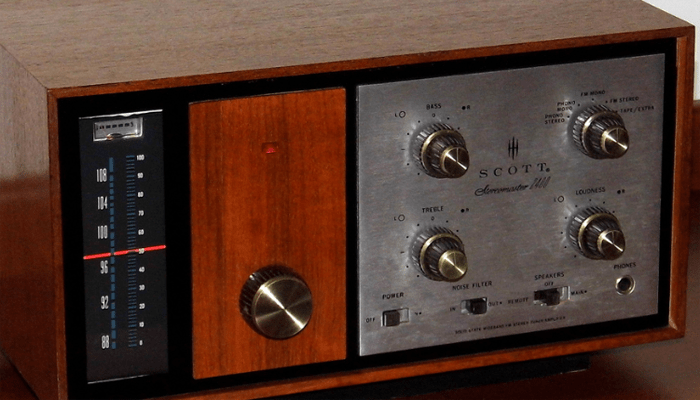 Why We Liked It - They outperform many similarly priced pairs and despite retailing just below the thousand dollar mark they offer great value for money as they actually serve up audio comparable with models which cost hundreds of dollars more. 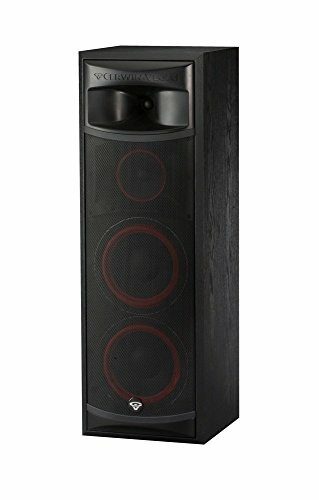 Another deluxe model that might catch your eye is this Add-on T20 pair of modern floor-standing speakers from Audio Pro. They are priced in a similar region to the fantastic PL-980's by BIC America which began today's reviews. This stylishly sleek set is the prodigious culmination of several decades of Swedish engineering perfection. Their minimalist enclosures shelter a wealth of sophisticated circuitry and mechanics. The components are first-rate and the drivers have impeccable performance. The dual 4.5” woofers deliver deep bass and the 3/4” textile dome tweeter is high performance and formed from cutting edge woven synthetic materials. They serve up sublime full-range sound which is abundantly dynamic but their versatility is a crowning attribute. 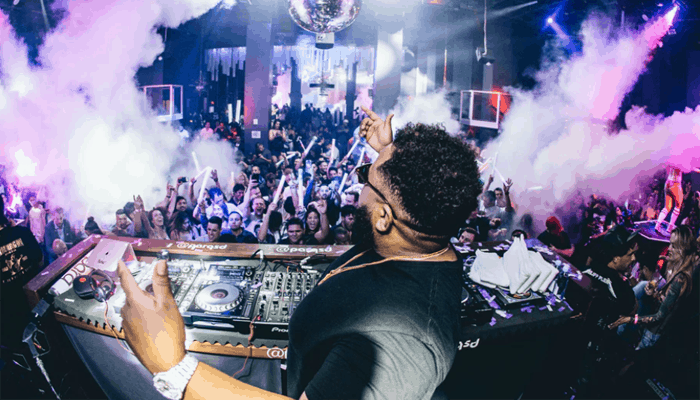 They connect to a vast amount of devices and have Bluetooth connectivity which allows for remote streaming audio with levels of quality and clarity unprecedented in comparison with many other wireless compatible speakers. + Dual bass 2-way class. Why We Liked It - It has a few more merits, which give it a little leverage over the other 2-way class models because of its beneficial built-in Bluetooth. It is a paradigm of the progress the electronic audio industry has made with its compact cabinet, deluxe drivers and flashy wireless mod-cons. Of course we couldn't review the best without considering a cutting-edge pair from KEF. The Q line features some pretty pioneering products that have raised the industry standard time and time again. Now in its 8th iteration, the Q550 is a ruthlessly refined, floor-standing speaker set which really redefine the archetype. It boasts the companies ground-breaking proprietary Uni-Q driver array, which has previously praised in some of our other speaker articles. It is essentially an upgraded rendition of the meritorious Q500 model, which has been enhanced further outperforming all precursors to date. The crossover features a new low distortion inductor and is more accurate than ever before. The enclosures have been revamped and redesigned to boost bass frequencies and maintain cross-spectrum fidelity. The bass radiators have a new rear suspension mechanism for bass perfection. The low-frequency drivers feature a larger roll-surround, the tweeters now have a damped loading tube design which makes them extra efficient and the new spiders along with the addition of a paper cone within the array's components, all give it a leg up in the level of quality. + 8th gen model with a multitude of improvement. Why We Liked It - They provide pristine sonic production, rich with layers that blend seamlessly into naturally balanced abounding audio. Back to the more plausible price range for the majority of us for a peek at what Polk is providing as an affordable alternative. Hot off of their Monitor series, renowned for its simple sturdy construction is this pair of re-imagined next-gen floor-standing specimens. They are adequately enclosed in a tapered MDF cabinet, the tapering of the array enhances the audio projection and does wonders with the lower end frequency management. The array comprises of multiple small diameter drivers which work in unison with a dedicated 1” composite, polymer/fabric Dynamic Balance tweeter with a realistic response. The drivers employ neodymium magnets and are capable of high outputs. They feature great damping methods within the confines of the housing and perform extremely well. They have double dual bass drivers and are 2.5-way technically speaking which is not a classification and pretty much unheard of. Both dual bass drivers pick up low frequencies but one pair handles the mid-ranges as well. + Affordably priced high performing option. + Refined second incarnation of a best-seller. Why We Liked It - They are very well designed, they provide an accessible product, the circuitry is less complex than some but this means they can be driven by even a substandard receiver. Without sounding condescending, it is exactly that, a speaker which stands on the floor. They are sometimes referred to as “Free-Standing” or “Tower” speakers and they are a larger speaker enclosure which provides more room making them capable of more substantial sound. 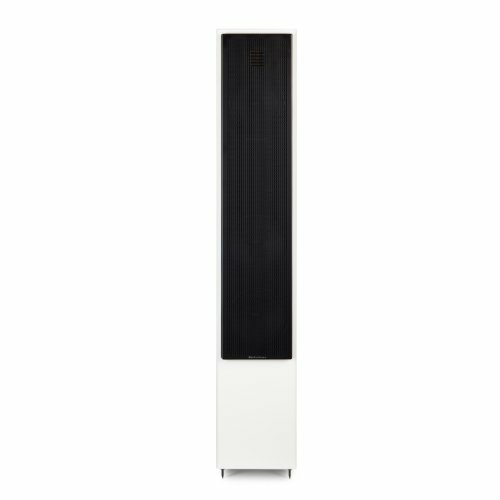 They are known for their versatility and are the largest available home speaker type, generally standing around 3-4 feet tall however many of those we have looked at today are slim or compact options. This fills the room better than a smaller enclosure set which has matching dimensional cones and similarly classed drivers. 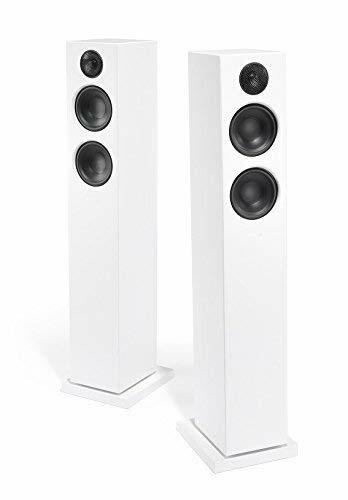 So a floor-standing model actually has more presence than a bookshelf sized set with (for argument's sake) identical drivers and cones playing the same track at the same volume. This is why they are generally favored by those more serious about sound, they have better adaptability and capacity. Despite their step-up in abilities and size they don't typically require any extra juice to power as a larger speaker responds with physically less effort to lower frequencies, though there are some power-hungry models floating about. 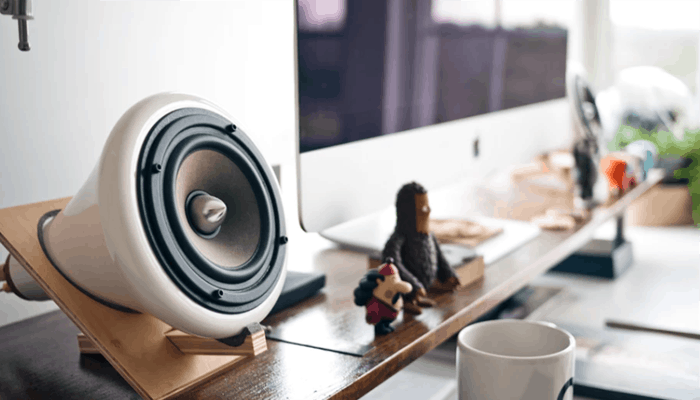 The extra space they provide is due to the design choice to construct extending only vertically meaning that the footprint can stay the size of a typical bookshelf or monitor speaker requiring only marginally more room than the cone dimensions and their optimal mounting depth. Though they are generally incorporated into the large home set-up for an impressive main, left, and right channel solution some high-end model is capable of standing alone as left, center, right and even sound great for the average listener without a sub. As you will have seen from our reviews, the majority are designed specifically with better bass production in mind, although the overall goal is of course; broad, balanced audio. 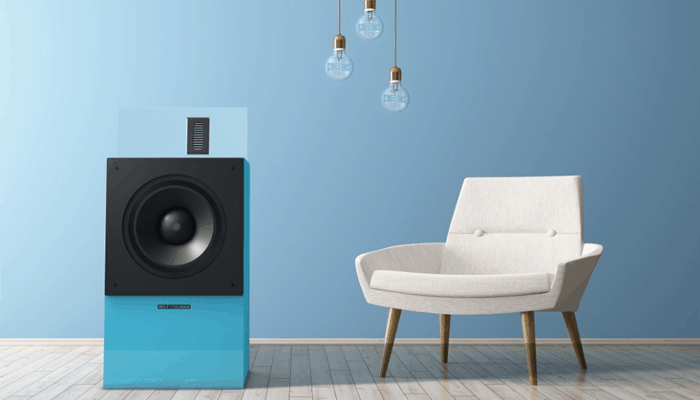 Woofer cone construction, driver optimization, enclosure enhancements, and crossover circuitry advancements all play a huge role in producing a decent floor-standing speaker. Modern floor-standing models have an exceedingly good reputation for providing theater-quality surround sound that fills a room without hogging too much floor space. The most important things to check is the impedance and sensitivity, which has to be matched to the abilities of your amp/receiver. If you haven't chosen your amp then your options are somewhat more flexible but you will want to look for both together to keep the requirement in mind when you shop. The cabinet footing is also important If you have laminate or hard floors opt for rubber if you have carpet look for spikes. 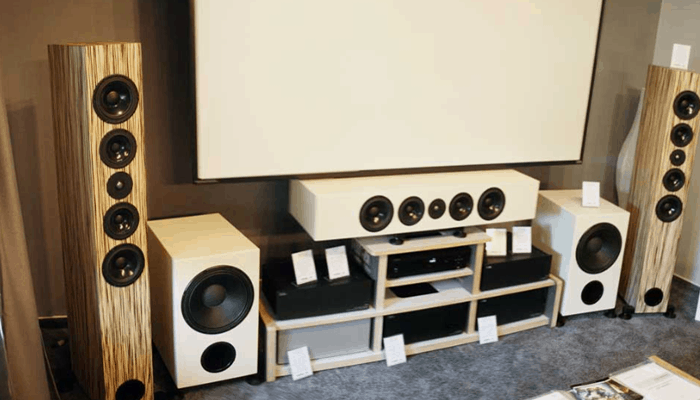 Our top tips look for an array which offers you what you are missing from your surround sound set-up, only accept premium parts if you plan to part with large amounts of cash and remember that a floor-standing models performance is limited by its surroundings and they work better in a larger space at louder levels. We have said it time and again, the speakers market is an over-saturated one so finding a speaker suited to your needs is a sure thing, it is narrowing down what you are looking for that is the key. As with all purchases, your budget is going to determine exactly what you can get your hand on, but the selection we have sifted through in today's article represent some of the best models available. Each is operating at the top of their relative classes. We have chosen a broad enough range to present options for either end of the retail scale. We have tried to divulge in depth exactly what the specs provide to help make an informed online purchase. The floor-standing speaker is the bedrock of any serious sound system and the benefits speak for themselves, the models available are truly capable so why not commit to an audio upgrade armed with our buyers guide advice. 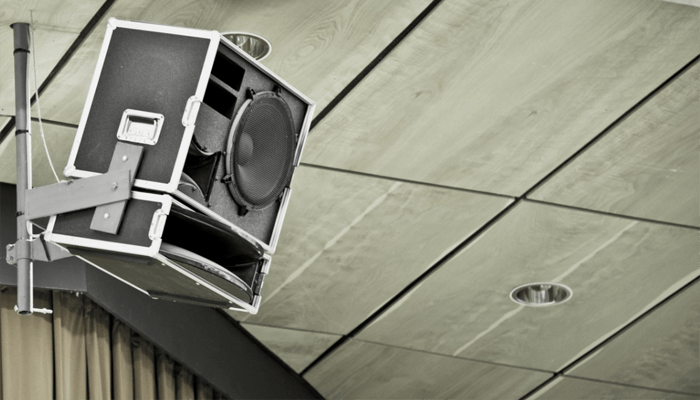 With their larger stature and enhanced features, floor-standing models provide some of the best bass around, but if you are a serious bass head try hooking up a dedicated subwoofer to these bad boys you might find this subwoofer article of use to you. 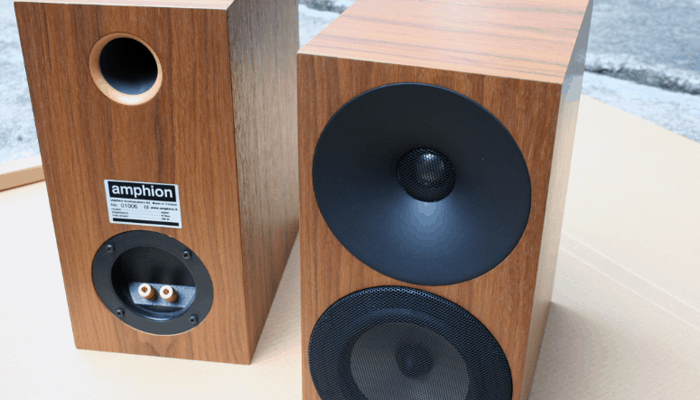 We looked at another great floor-standing model in our 10 best bookshelf speakers under $1000 2018 article, it is another shining example that didn't make todays review section but not for lack of trying. 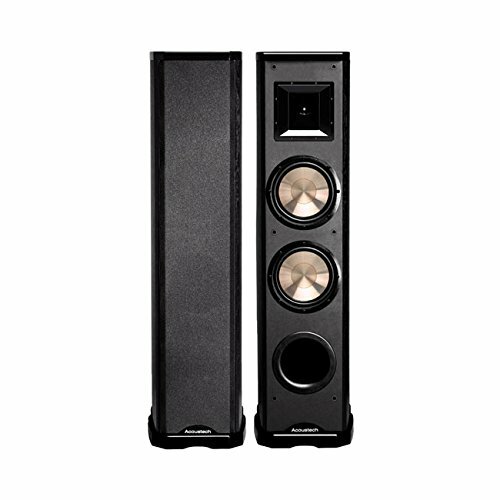 The Polk Audio RTI A1 are a great affordable 2-way class option.